Leonora is a long loosely fitting cardigan inspired by the Skagen painters’ beautiful paintings of the Nordic light over the coastline, with the dark sea below and the tattered clouds above. The cables lift from a sea of purl stitches as the clouds above the sea. 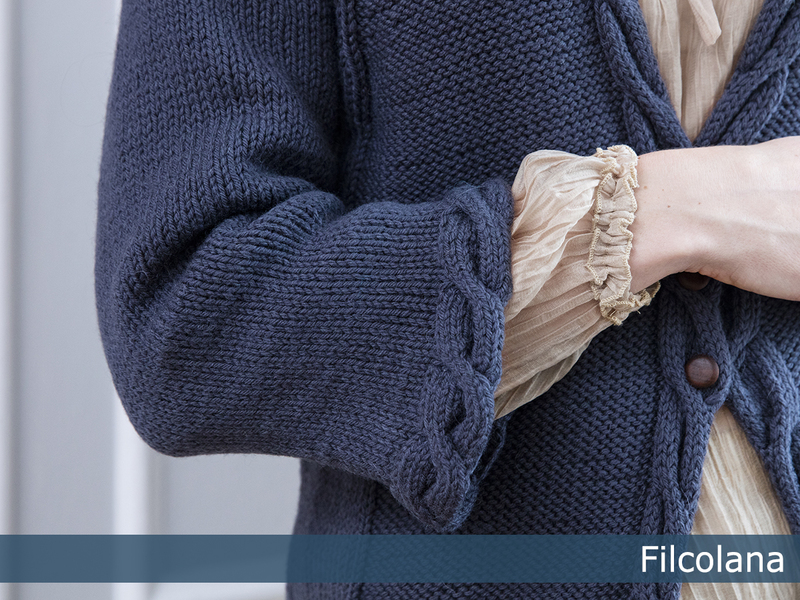 ”Leonora” is part of Filcolana’s ”Colours of the Scandinavian Summer” collection. For this collection our team of designers have found inspiration in the incredible Scandinavian light and colours in the works of the Skagen Painters.